Fairbanks-Morse locomotives, commonly known as F-Ms, are true classics (their newest models are nearly 50 years old now), even by non-railfans! 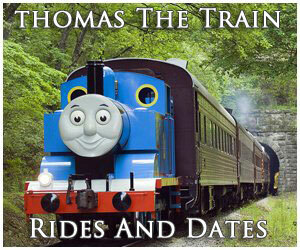 F-M was the last builder to enter the diesel locomotive market and the first to exit. While its opposed-piston engine design was not as successful in locomotive application as with marine ships its locomotives were nevertheless revolutionary for their time, so revolutionary that it would take twenty years after the builder’s exit from the market for railroads to become interested in similar models! Today the builder, now owned by EnPro Industries, continues to build marine engines as well as those for other applications. While Fairbanks-Morse locomotives have not been built since 1958 it is interesting to wonder what the company may do in the future considering its past experience in the locomotive market. 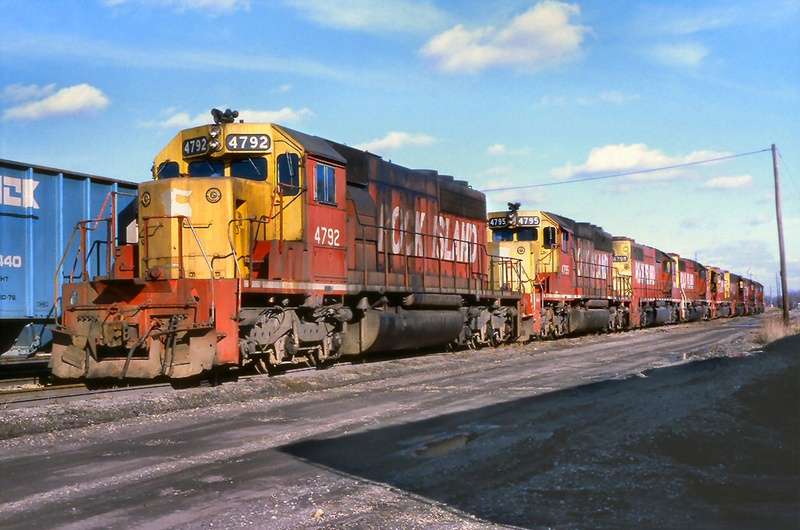 While Fairbanks-Morse was not originally in the business of diesel locomotive manufacturing they were quite familiar with diesel engines. The company itself has been around since the 1830s and in the early 1920s it began to develop diesel engines aggressively. What resulted was a revolutionary new design, the opposed-piston (OP) diesel engine developed by F.P. Grutzner, which allowed for fewer moving parts. The design became an instant hit for marine applications, such as with the US Navy who ordered many OPs to power its early submarines. 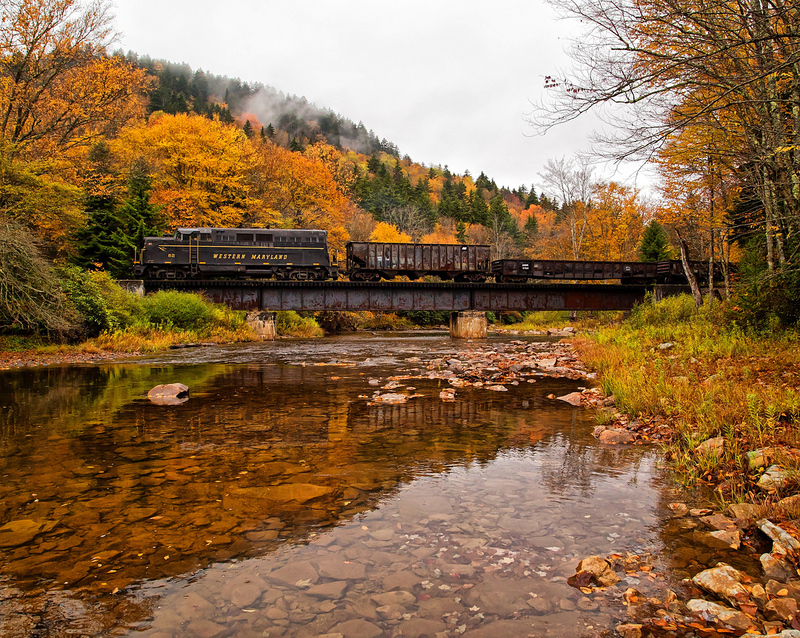 However, this success in marine craft did not carry over to the railroad industry when the company began experimenting with diesel locomotive designs in the late 1930s. 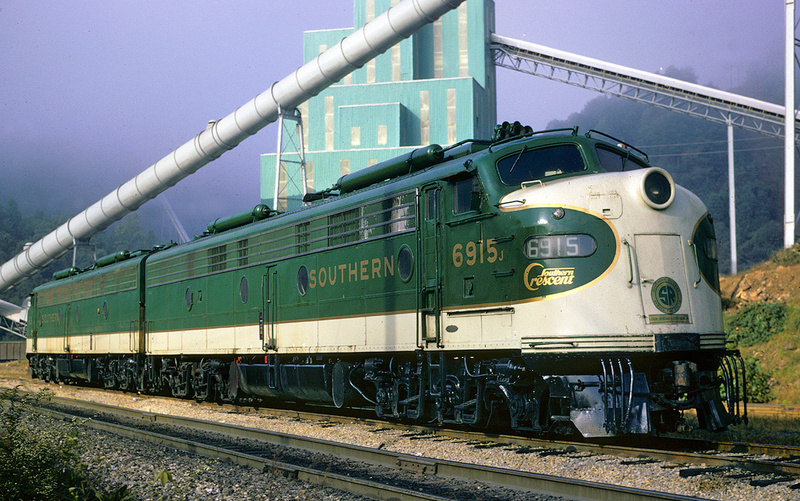 After a few early trial designs (such as a railcar built for the Southern Railway) the builder began taking orders for its own locomotive line in the 1940s. 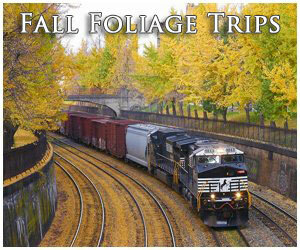 For more information about FM locomotives please click here. Fairbanks-Morse locomotives would come to be offered in an entire array of models from switchers to passenger and road units. Its switcher line consisted of a rather large design (as switchers typically go) which began with the H10-44 (“H” for Hood unit, “10” for 1,000 horsepower, and each 4 meant four axles and four traction motors). 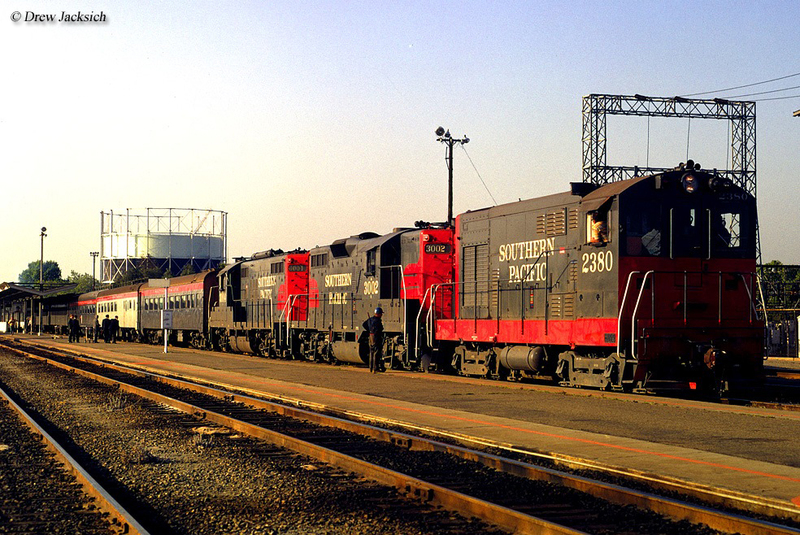 The switcher line would be offered in several horsepower variations ranging from 1,000 hp up to 1,600 hp. 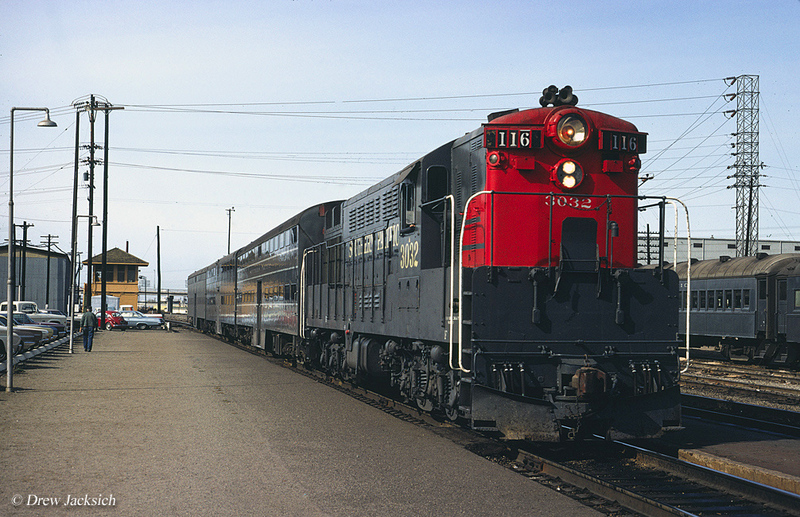 Fairbanks-Morse locomotives and its passenger models had basically the same carbody design only in differing horsepower arrangements (the carbody carried fine lines with a high short nose with a noticeable rounded point). The first of these were built in the 1940s and known as simply the “Erie” line because of their carbody design lineage by General Electric at its Erie, Pennsylvania plant. 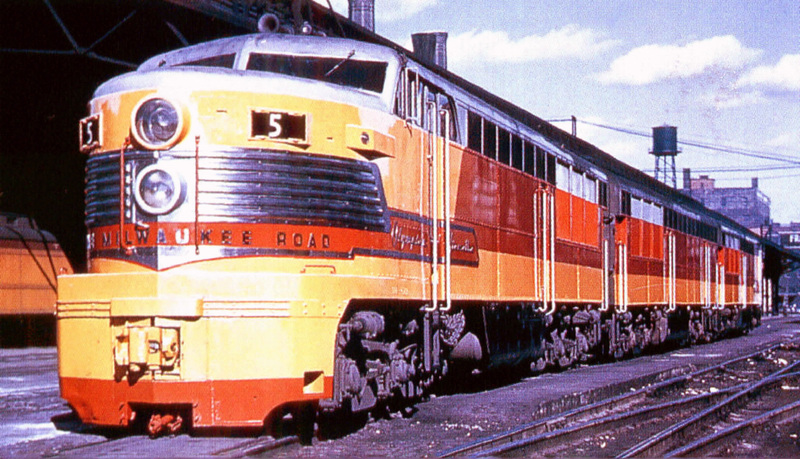 The most famous of the Erie-Builts were those constructed for the Milwaukee Road in the late 1940s for the railroad’s famous Olympian Hiawatha, which operated between Chicago and the Pacific Coast. These units were adorned in Milwaukee’s beautiful two-tone red/orange livery with chrome plating around the nose with Olympian Hiawatha included just under each side the cab. In 1950, however, they would introduce a formal line of passenger units known as their “Consolidated Line,” commonly known today as C-Liners. This model was available in three different horsepower variations of 1,600 hp, 2,000 hp and 2,400 hp of their CPA16-4, CPA16-5, CPA20-5, CPA24-5, CFA16-4, and CFA20-4 designs (“C” for Cab unit, “P” for Passenger, “A” for A unit, horsepower available [1600, 2000 and 2400] and 4 axles and traction motors). 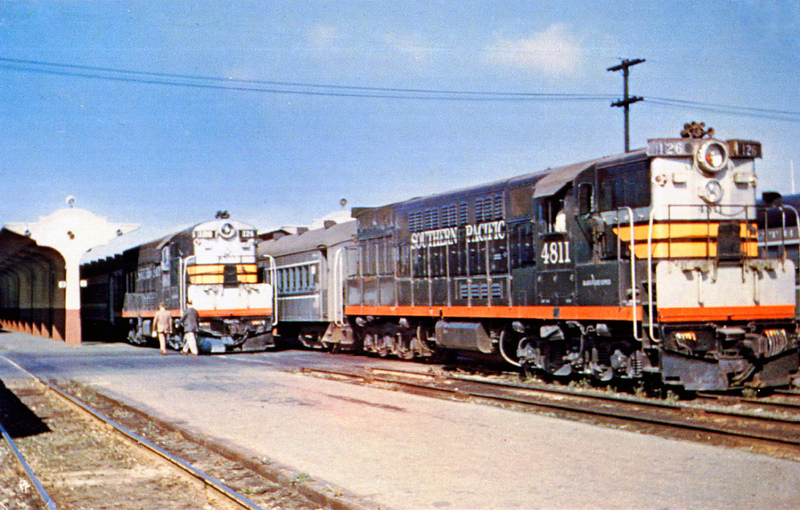 Along with the CPA passenger line F-M also offered a CFA (“F” for freight unit) line for freight units, although these would only be built in 1,600 and 2,000 horsepower models. In all, F-M was not successful with its cab units, from the Erie design to the C-Liners as both only sold a few hundred units in total and nearly all of those to domestic customers only. 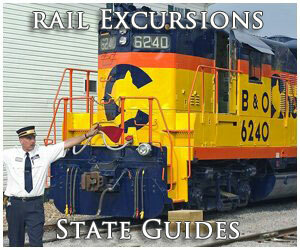 The Fairbanks-Morse diesel locomotives perhaps best remembered is the H24-66, better known as the Train Master. While there were also other models of this design built none were as powerful as the Train Master, and it was truly years ahead of its time, which is perhaps why it was never successful. The Train Master (or TM) was not only physically larger than all other diesel locomotives of the day, they were also built to haul! Not only could Train Masters out accelerate any other design but they also had much more power. At 2,400 horsepower the unit was the most powerful of its day and it would be nearly another decade before other builders would begin offering units with similar horsepower ratios. Like nearly all of the Fairbanks-Morse locomotives (for many of the same reasons), sadly the Train Master was far too ahead of its time as railroads in the 1950s were not looking for locomotives with such power and ultimately only a little more than 100 units were ever sold. 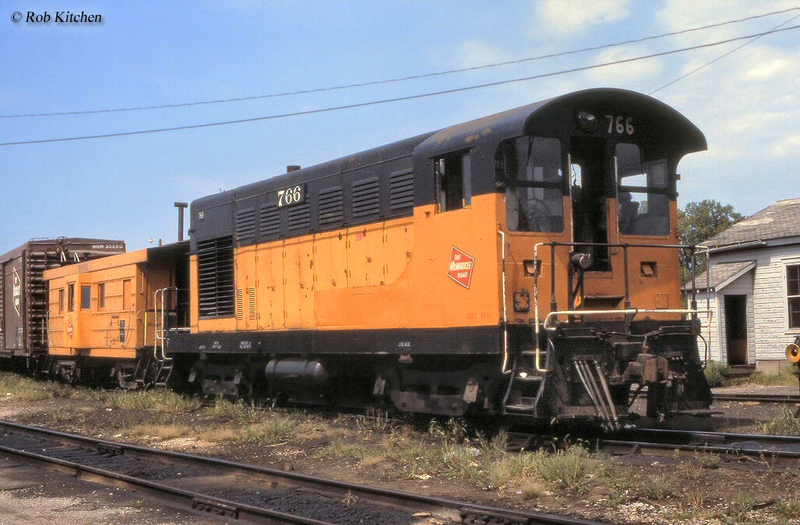 With only marginal success with its diesel designs, complaints by some that its OP locomotive engines were troublesome to maintain and a market that was saturated with builders from (early on) Baldwin-Lima, EMD, Alco and later General Electric, Fairbanks-Morse decided to cut its losses and exit the locomotive market in 1958 after which time it again focused primarily on its marine and other engine designs. 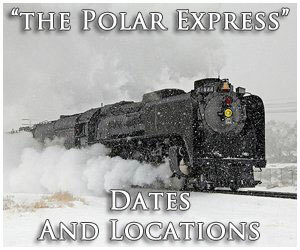 While several Fairbanks-Morse locomotives can be found today at various railroad museums and on-display few, if any, are still operating in regular freight service. Today F-M is still around although it is now owned by EnPro Industries. If F-M would ever decide to re-enter the diesel locomotive market it should be interesting to see what new revolutionary design they will come up with! Below is more information about each FM model type, number built, and horsepower.